Before Washington D.C., the nation’s capital was New York City. In the early days of America, the Founding Fathers met at Federal Hall to propose, debate, and argue ideas and legislation that would ultimately shape the new country’s future. Before Federal Hall, there was City Hall at 26 Wall Street. Some significant moments of colonial American history happened there, including the meeting of the Stamp Act Congress, which protested “taxation without representation.” Once the Thirteen Colonies won independence from Great Britain, the Continental Congress convened at City Hall. At the time of the Constitution’s ratification in 1788, New York City was still the country’s capital. Remodeled for the new government, City Hall became Federal Hall. The First Congress met and wrote the Bill of Rights there, and it was where George Washington was inaugurated as the nation’s first President. In 1790, the capital moved to Philadelphia, and city government once again occupied Federal Hall. It was demolished in 1812. The current structure now known as Federal Hall opened as a Customs House in 1842. When Customs moved to 55 Wall Street in 1862, the building became the US Sub-Treasury, which was then replaced by the Federal Reserve Bank in 1920. 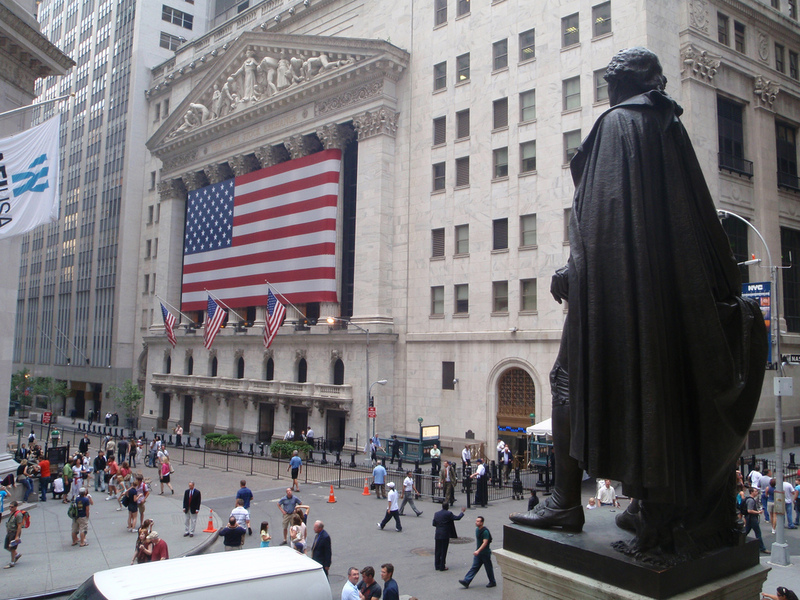 Learn more about the history of Federal Hall on one of our critically acclaimed tours.